Benjamin Descovich is a long name for a simple fellow. You can call me Ben. One syllable does the trick. I rolled dice as a youngster. No, not the gambling kind. I messed around with the many-sided miracle-makers of dungeons and dragons. I loved adventuring through magic worlds with wizards and warriors, rogues and rangers. I feasted upon epic fantasy books by J.R.R. Tolkien, C.S. Lewis, Ursula K. Le Guin, and Anne McCaffrey then devoured the multitude of Dragonlance and Forgotten Realms books… among many others. Then I did what most young people do. I tried growing up. Let me assure you I was most sincere in my efforts and walked life’s path in many different shoes. Along the way, I discovered the spice of politics, a kaleidoscope of culture and most of all the wonders of language. I worked in many respectable establishments yet fell in love with the writing game. I’m an author who’s passionate about the environment and social justice. I’ve even got a degree in Political Science that’s hidden in a box somewhere. 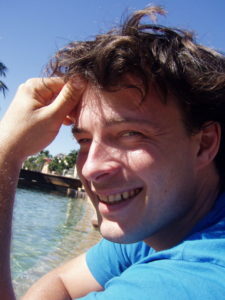 I was lucky enough to be born in Australia and have had the good fortune of living and traveling around Europe and Asia. Pretty good inspiration for an author. I’ve got hundreds of fantasy tales stuck in my skull. One by one I’m laying them out. Readers from all over the world tell me they are great, so I figure I should keep at it. I write powerful stories of struggle and sacrifice, honour and treachery, love and loss. I stoke the forge every day, and make magic in the world of Oranica. If you join me there, you’ll discover imperfect heroes and heroines in a clash against evil and injustice. Monsters and mythic beasts abound, so sharpen your sword and open that spell book! While the dramatic landscapes, political intrigue and epic battles will captivate your imagination; the dragons and magic will take your breath away. 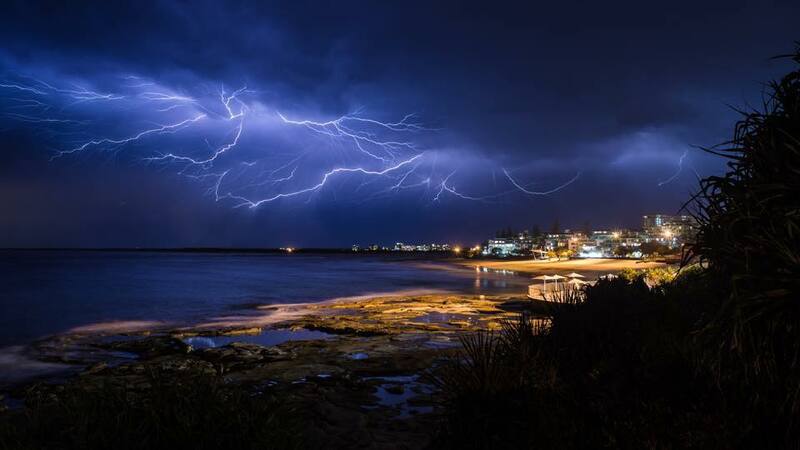 Anvil Cloud Lightning Crawlers over my hometown, Caloundra.